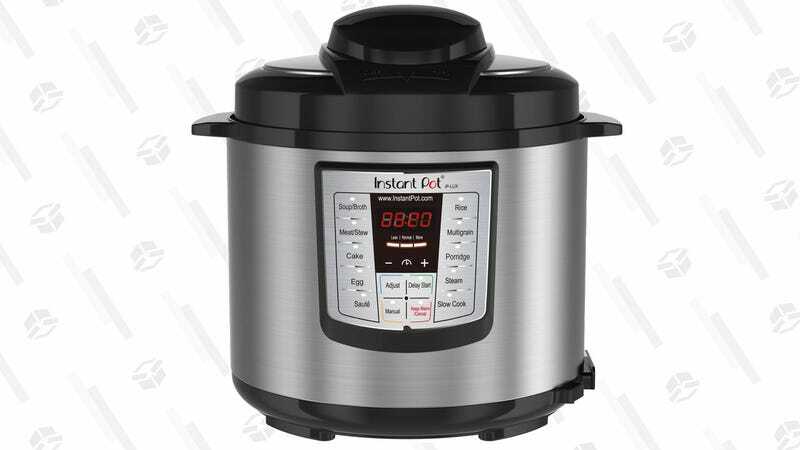 If you still don’t own an Instant Pot, you can fix that for the best price we’ve ever seen today. $49 gets you a 6 qt Instant Pot Lux with six programmed cooking functions and plenty of space to make meals for the whole family. That means, buying this is like buying a new rice cooker, slow cooker, pressure cooker, steamer, saute pan, and warmer all in one. Not too shabby for $49. We’ve posted a couple of deals on the Instant Pot DUO recently, and the only difference between the two is that the DUO has two additional functions; a sterilizer, and yogurt maker. But, that’s selling for $75 right now (down from the usual $100), so if you don’t think you’ll use those extra functions (or don’t want to wait around for a good deal), today’s an excellent day to grab the LUX.